Blend the ricotta cheese, mascarpone, and confectioners sugar with a large spoon until well mixed. Add in either the chocolate chips, blueberries or halved strawberries, fold in gently to incorporate. 1. Melt the chocolate in the microwave, and then blend in the other ingredients. 2. 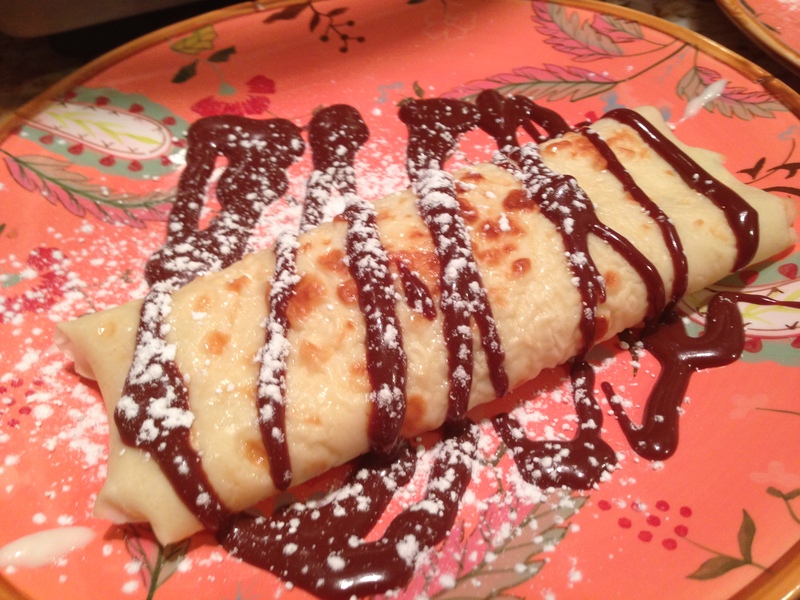 Use a drizzle spoon or squirt bottle to drizzle chocolate on crepes. Plate the crepes by placing 2 to 3 heaping tablespoons of filling onto the middle of a crepe. 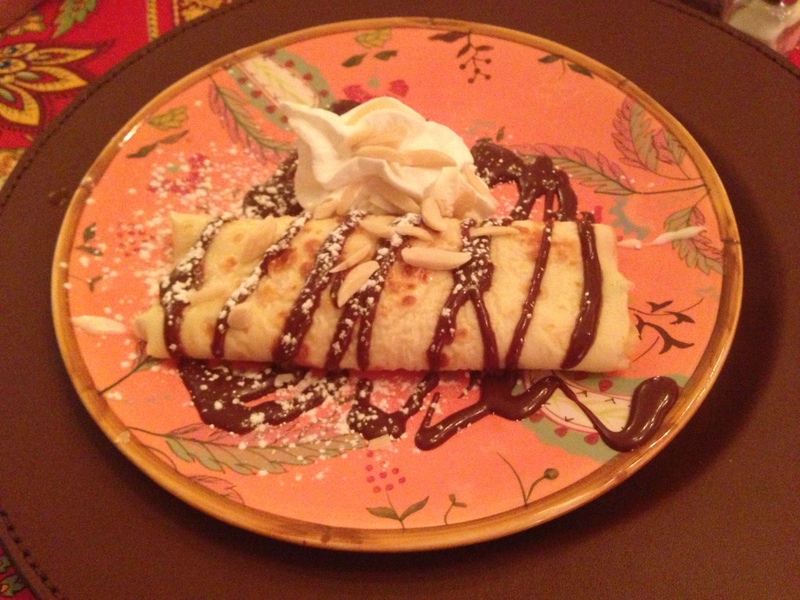 (Depending on how many you want to make and the size) Roll over the crepe in order to cover the filling. Place the crepe on your decorative dish. Drizzle the chocolate over the top. Sprinkle with sliced almonds, powder sugar and add a dollop of whipped cream! This entry was posted in Desserts and tagged blueberries, breakfast, CREPES, dessert, filled crepes, mascarpone, mini chocolate chips, RICOTTA, ricotta crepes, STRAWBERRIES. Bookmark the permalink.